Water is not only the most essential substance next to oxygen for human life. It is also complex, often containing hundreds of dissolved minerals and chemicals. Most water is also “structured” or clustered in complex ways. It is indeed a marvelous substance whose extreme value is often unrecognized. This is the most important part of this article. Otherwise, the recommendations below will not make sense. 1. The type and amount of water one drinks is an essential aspect of health and healing. Every week, I encounter a person who is not progressing on a healing program due to drinking an improper type or not enough drinking water. If this continues for several years, it can ruin one’s health. 2. Using any amount of caffeine, sugars (including fruit and juices), or alcohol tends to dehydrate the body by causing water loss. 3. The material in this article is based wholly on clinical experience. Theories abound regarding which water to drink and how much. I will not delve into them very much because ultimately, what is important is what works in the body to promote health. 4. Water is more than a beverage. It is a particular type of energy that we need in a certain amount on a daily basis. If we do not obtain it, health is negatively impacted. 5. Pure water processed only by nature is a type of “whole food”. It not only flushes toxins from the body and supplies many needed minerals, but impacts the body in many other subtle ways. Like other whole foods, when it is tampered with, water loses most of its precious healing properties. Water is tampered with any time one adds anything to it, filters it using anything except pure carbon, spins it, alkalinizes it, and perhaps does other things to it. All of these manipulations tend to ruin it, in my experience. Oddly, packaging it in plastic jugs, even the cloudy type of plastic water containers found in the supermarket, does not ruin its properties, although it will add a little contamination to it. I know this runs counter to what many people claim, but it is my experience with thousands of people. Also, I find that running water through copper or steel pipes also does not ruin it, as many health authorities contend. 6. Most people do not drink enough pure water. Adults need about 3 quarts or 3 liters daily, and perhaps a little more if you weigh over 250 pounds or 110 kilograms, do physical labor or vigorous exercise daily, and perhaps more if one lives in a very dry or hot climate. 1. As stated above, every adult needs to drink about 3 quarts or 3 liters (about 96 ounces) of water daily, with no exceptions. It you weigh over about 250 pounds, have a very physical job or do a lot of physical exercise daily, or perhaps live in a very hot and dry climate, you may need a little more. Drinking more than this, by the way, is not as good. If someone claims to need a gallon of water or more daily, for example, I immediately start checking to see if their water is hydrating the body properly, or if some other condition might be causing this degree of thirst. Other beverages such as coffee, tea, juices, or others do not tend to hydrate the body nearly as well, and are discussed below. Please do not count other beverages as water intake, except perhaps for a cup or two of mild herbal, non-caffeinated tea such as chamomile tea. Also, do not drink with meals. Drink only enough with meals to take your nutritional supplements, and no more. One small cup of water is usually okay. More than this will dilute the stomach acid and harm digestion quite a lot, in some cases. An excellent idea is to drink about a quart of water upon arising and at least half an hour before breakfast. This will usually provoke a bowel movement and gets the day off to a good start. When you wake up, just sit and drink a quart of water. Do it in your near infrared sauna, ideally, or even better, while the sauna is heating up. You may feel a little like you are floating away, and you will urinate more than usual until it has passed from your system, but it is often the best way to make sure you drink enough water all day. 2. The best water to drink is usually plain spring water. It does not matter that it comes in plastic bottles. Distilled water in plastic jugs is good for only 3 to 6 months, and carbon-only filtered tap water is the next best drinking water in most cases. The reasons for this are involved, and described in detail below. 3. To be well-hydrated, stay away from all substances that tend to dehydrate the body. These are 1) caffeine in any form, 2) sugars and sweets of all types, and 3) alcohol in any form and amount. Sugars includes fruits, juices, fructose, rice milk, almond milk, soy milk, rice syrup, honey, agave nectar, other sweeteners, coconut milk, coconut water, coconut crème and all other sweet foods and beverages of any type. The only juice I suggest is 10-12 ounces of preferably fresh or store-bought carrot juice or 1-2 ounces of wheat grass juice daily. Please pay attention to this factor very carefully. 4. Buying water in plastic jugs is okay. I wish glass or other recyclable materials were used more. However, in my experience, the plastic does not cause significant problems with the water or with your body, and the plastic can be recycled. Alternatives to plastic jugs. In many locations, you may have spring water delivered to your home at low cost in recycled plastic bottles, or perhaps even in glass bottles. Look in your phone book for companies that deliver bottled water. Another option is to obtain spring water directly from a local spring. A list of safe springs around the world is available at www.findaspring.com. 5. The best time to drink a lot of water is when you first wake up. Adults, preferably drink about 1 quart or 1 liter of water upon arising. Then wait at least half an hour to 45 minutes before eating breakfast. This is ideal. Do you best with this. You will still need to drink during the day, but you will have a good start on drinking 3 quarts or 3 liters of water each day. The only problem with drinking in the morning before breakfast is you will need to urinate a few times in the early morning, which is difficult for some people who commute, for example. However, this is best. Finding pure water to drink has been a problem for humanity for ages. Water for drinking either comes from surface water sources such as rivers and lakes, or from underground wells, springs or deep aquifers. 7. Other types of filters and treatments. These include water softeners, electrical processes and others. Let us examine each method in more detail. Tap water in most locations comes from either large wells, or from lakes, rivers or reservoirs constructed specially for the purpose of supplying drinking water. Building and maintaining the water supply is often the most costly public service provided by cities and towns. Most cities are proud of their water system and do not hesitate to recommend it for drinking. In the United States, in particular, public drinking water is heavily regulated by the Environmental Protection Agency or EPA. Advantages of tap water. Most important, tap water seems to hydrate the body well, in most cases. It also contains a wide variety of minerals that provide vital trace minerals for the body, in most instances. It is also inexpensive and convenient. In the United States, but not in most nations, tap water is not contaminated with bacteria, viruses and parasites. However, in other nations tap water may need to be boiled to kill pathogenic micro-organisms. 1. Excessive toxic metals. Many city water supplies, especially wells, contain some excessive amounts toxic metals or toxic amounts or forms of other minerals. Common toxic metals include arsenic and lead, which are found in many pesticides and herbicides and find their way into the wells and other water supplies. At times, these are difficult to remove from large amounts of water, so they are just left there even if the water violates environmental standards, especially in poorer nations. Other minerals that often contaminate drinking water include too much iron, manganese, boron and copper depending on the location. 2. Medical drugs in the tap water. Today, most city water also contains residues of many medical drugs that do not break down fast enough and are recycled in the water supply. This is a complete horror that has not received nearly the publicity it deserves. Most medical drugs including many antibiotics, heart medicines, birth control pills, and hundreds of others pass right through the body unaltered. They do not biodegrade quickly, and are literally recycled in many communities and go back into the drinking water. 3. Chemicals used to sanitize water – chlorine, aluminum, copper and fluoride. Cities and towns often add aluminum compounds to water to make solid matter clump and fall to the bottom of holding tanks used at most water treatment plants. While it removes solid matter, aluminum finds it way into the drinking water. Excessive aluminum is found in most people’s tissue mineral tests. High levels are associated with memory impairment and dementia. 4. Copper or bromine. City water companies may also add copper and other chemical compounds to reduce the growth of certain harmful algae and molds in reservoirs. While copper is a nutrient mineral, most people have too much of it in their bodies. Vegetarian diets are high in copper. Weak adrenal glands cause copper accumulation. Birth control pills raise copper and copper intra-uterine devices can drastically raise one’s copper level. Copper toxicity is extremely common and can cause depression, anxiety, mood swings, panic attacks, fatigue, headaches, skin rashes and even cancer. Over half the mineral analyses I see reveal elevated levels of tissue copper. 5. The fluoride abomination. Although laws in America such as the Clean Water Act of 1974 prohibits adding any substance to drinking water except to make it safe, many communities in the USA and Great Britain, in particular, have been convinced by ignorant and corrupt health authorities to add fluorides to their drinking water. These chemicals are poisons, and are sold as rat poison, in fact. Fluoride does not reduce tooth decay in most studies of it. Any health authority who reviews the data in an unbiased way would never recommend adding fluorides to drinking water. In fact, some medical studies show more tooth decay in fluoridated areas. All nations except the United States and some parts of Great Britain and Australia have given up the practice based on the research and on the principle of people’s right to choose whether or not to have their water medicated . Adding fluoride has nothing to do with the safety of the water, and in fact makes it much more toxic. Fluorides are very toxic chemicals, considered as toxic as mercury or lead. Also, the compound often used, hydrofluosilicic acid, is not pure fluoride but rather a smokestack waste product from fertilizer factories that is about 30% fluoride. It contains heavy metals, kerosene, benzene, radioactive substances and other toxins. Adding smokestack waste to drinking water is, in the author’s opinion, criminally insane. Anyone who drinks it is foolish and insane. The facts are available to anyone who cares to learn about them. Naturally occurring fluorides are almost as bad and should be avoided at all cost. For more on fluoridation, read Water Fluoridation on the Center for Development website. 6. Chlorination of tap water. To remove bacteria, viruses and other microorganisms, almost all city water companies add chlorine to the drinking water in America. This works, but chlorination is highly toxic to human beings and animals. Some researchers assert that a major reason for the drastic rise in heart disease in the early 20th century in Europe and America was the addition of chlorine to the drinking water. Chlorination of drinking water probably also contributes to cancer and other illnesses, as chlorine is so toxic. Ozone as an alternative. A few American cities including Los Angeles, and some parts of Europe, use ozone to purify their water supply. Ozone is O3, an unstable form of oxygen that is known to kill almost all pathogenic organisms. Its only drawback is it does not stay in the water as long as chlorine does. Ozonation is much safer, cheaper and more healthful than chlorination. It will come into wider use as scientists realize the damage chlorine does to humans, animals and plant life. Summary. Tap water, if unfiltered, often has too many toxic metals and chemicals in it to be good for drinking. This is variable depending on location. If tap water is filtered with carbon only (see below), then it will hydrate the body and can be used for drinking, but is not usually as good as a high quality spring water. Note that carbon can remove some chlorine, but not fluorides. Well water can be fine, but often it is contaminated today. This is especially the case if one lives in a location that either is or was used for industry or for agriculture. Sadly, this includes most of the Eastern USA and the Midwest USA, and many parts of other nations as well. Even if your location is pristine, wells can easily become contaminated, especially with minerals such as iron, manganese, and occasionally others, too. State testing laboratories cannot or will not test for hundreds of toxic chemicals and they often don’t even test for contaminants such as high levels of manganese. I know this to be a problem in Rhode Island and Massachusetts, in the United States, for example, based on many hair mineral test results. If you have a well, try to check carefully before using it for drinking purposes. Most of the time, I find I have to tell people with wells not to drink their well water, unfortunately. Spring water and that found in deep aquifers is water that has 1) been evaporated from the earth and distilled, as explained below, and then 2) been filtered and mineralized by passing through layers of rock and soil. Contrary to popular belief, in most nations, spring water is also highly regulated by the government for purity and mineral content. Advantages of spring water and deep artesian well water. The main advantages appear to be that it often hydrates the body well and, if it is a quality water, it is low in toxic metals, toxic chemicals and pathogens such as bacteria, viruses, parasites and other micro-organisms. It has been filtered by the earth in ways we do not understand well, but which can work very effectively and often better than any human-invented means of filtering and purifying water. 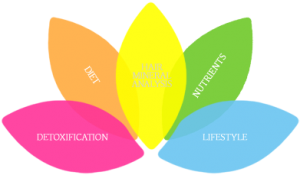 Another advantage is that it usually contains a wide variety of trace minerals that the human body needs desperately today since the food supply is generally depleted of minerals today. Disadvantages to spring water. These include its cost, having to buy it in plastic bottles, inconvenience of having to carry it home, perhaps questions about its purity and safety in some cases, and variability from spring to spring. Government regulation. The television news often tells us that spring water is unregulated in many nations including the United States. This is not the truth in the United States, or in many other nations. Spring water must meet certain strict government criteria to be allowed to be sold and to be labeled as spring water. Summary. I have found pure spring water to be the best type of drinking water in many cases because it hydrates the body well, and it supplies many needed minerals. Overall, it is clean and healthful when approved by the government, and it has other invigorating properties due to the natural processing it has been through. 1. Distilled water acts as a chelator in the body. This is a very serious problem, in our experience. Distillation (as with reverse osmosis) creates a “hungry” water. This means it is devoid of minerals and, as a result, distilled water tends to attract to itself whatever minerals it touches. When one drinks distilled water, as soon as it enters the body it begins to grab onto and hold onto minerals. This process is called chelation. When the distilled water passes out of the body through the kidneys, some of these minerals are lost to the body. While it is a mild form of chelation, if one drinks distilled water for more than a few weeks or months, over time it will remove some vital minerals from the body. This is extremely harmful today because most of us are low in vital minerals to begin with. Summary: Distilled water for up to a few months can be used to remove toxic metals and toxic chemicals from the body quite effectively, in fact. Drinking distilled water for longer than this, however, always results in vital mineral deficiencies. Reverse osmosis or RO is by far the most common manmade method of purifying water on earth. It involves passing water at high pressure through a plastic membrane with tiny holes in it. Most minerals and chemicals are too large to pass through the membrane and remain behind, resulting in the formation of a largely mineral-free, chemical-free and pathogen-free water. The design of most RO units includes a way of back flushing the membrane constantly to hopefully prevent excessive buildup of solid matter on the plastic membrane. This is important or the membrane would be destroyed quickly. The membrane usually lasts about a year, at which time the water quality deteriorates and the membrane must be replaced. Gases, such as chlorine, can pass through the membrane. For this reason, most reverse osmosis units also usually contain pre- and post-filters. The pre-filter extends the life of the membrane by removing larger particles and certain chemicals. The carbon post-filter further purifies the water, removing chlorine and other gases that may pass through the filter. RO is the most commonly used methods of producing pure water on planet earth. It is used in almost all home and commercial “drinking water” machines such as those in water stores, supermarkets and health food stores. It is also used industrially in bottling plants for soda pop, soups, juices, beer and many other drinks. It is also used on all ships, some aircraft, and in many other applications. It is much cheaper than distillation. Advantages of reverse osmosis water. These include its low level of toxic metals, toxic chemicals and pathogens, and its low cost. 1. RO water, in general, does not hydrate the body well. This is its worst aspect. It is unfortunate, but we see it over and over again. The plastic membrane must damage the water in some subtle way that I do not understand. 2. A residue from the plastic membrane seems to find its way into the water, and then into the body. This is a consistent finding in everyone who drinks RO water. So it adds a new toxin to the body, even though the water is quite pure in other ways. 3. The water is extremely yin in Chinese medical terms. This seems to occurs because it lacks minerals and because it is contaminated with plastic from the RO membrane. The yin quality is extremely harmful and must be avoided. 4. There is evidence from a few clients that RO water damages the third chakra, which is also very dangerous. 5. There is no simple way to test the quality of the water. As the plastic RO membrane and pre-and post-filters age in a reverse osmosis machine, the water quality declines. A simple total dissolved solids or TDS meter may not detect chemical contamination. 6. Carbon and other filters in RO systems can become contaminated with bacteria and viruses easily. Manufacturers suggest replacing the carbon filters at specified intervals or after a certain number of gallons have been produced. However, these are just averages. Other than the taste, it is most difficult to assess the cleanliness of the carbon filters. 7. Reverse osmosis water is severely mineral deficient and has an acidic pH. As with distilled water, it does not supply the body with needed trace minerals, and it may have a mild chelating effect. This means that it may remove some vital minerals from the body. The acidic pH is also a slight problem. 8. RO wastes a lot of water that must be used to backflush the system. It also causes pollution because the plastic membranes do not biodegrade quickly. The polycarbonate plastics degrade slowly in the landfills. Filled with toxic substances, they represent a source of long-term pollution. Extremely high-temperature incineration, which is gaining in popularity, is the best form of disposal of the membranes that I am aware of. Summary. Reverse osmosis, sadly, is not good for drinking for most people, in my clinical experience. In fact, it is terrible. It does not matter if someone has added minerals back to it, or boiled or, or done other things to it like praying over it or “energizing” it in any way that I have seen, so far. These things cannot undo the damage to the water that occurs due to passing it through the plastic membrane. Please avoid all water made this way for best hydration. Very few people know which minerals they need to add. Commercial preparations such as electrolyte solutions often do not contain optimal mineral levels for each person. Adding salt or sea salt to water may detoxify the body a little, but is a dangerous practice, long term, because the high sodium content can unbalance the minerals in the body by competing with other mineral absorption. Most mineral preparations are not pure enough and many, such as coral calcium, can contain some toxic minerals as well. Reverse osmosis water, in particular, is extremely “hungry” and adding minerals to it will cause them to be absorbed into the water easily, and then cause them to be absorbed into the body cells quickly and thoroughly. This is good if the minerals are pure, but most are not pure enough, no matter what they say on the bottle. As a result, the person is slowly but surely poisoned by the toxic minerals. I find it best to obtain minerals primarily from cooked vegetables. Other mineral supplements that are excellent are kelp, 10-12 ounces of carrot juice or a fresh green juice mixed with it, a quality sea salt in your food, but not in your water, and dried vegetable capsules like Juice Plus and other vegetable capsules. However, I do not like many green powders and super-foods that contain a lot of spirulina, blue-green algae and chlorella, as these appear to be somewhat toxic and are often chelators. Barley grass and wheat grass, although not as good dried as fresh, also seem to be excellent sources of minerals. Another good one are raw dairy products (but only raw dairy or organic dairy, which is not as good, but better than the other pasteurized dairy products). Raw vegetables do not allow the body to absorb enough minerals from them, so I find it is much better to eat mainly cooked vegetables. Carbon, also called activated charcoal, is an excellent filtering material. It is basically charred wood or some other natural substance. The shape of the carbon molecule causes it to attract a few lighter minerals and most toxic chemicals. At the same time, it seems to be quite harmless and does not add many toxins to the water it touches. For best results, the carbon must touch the water for a prolonged period of time. This means that the larger the carbon filter, and the slower the water flows through it, the better. Types of carbon filters. Carbon filters comes in two main types. The less costly type is simply powdered charcoal or carbon. A better type is called a carbon block filter. The carbon has been compressed to form a more dense block. The compressed carbon removes more impurities. Advantages of carbon filtration of water. Carbon is fairly non-toxic, inexpensive and will remove quite a few toxic chemicals and chlorine gas and other gases to some degree. Also, and most important, carbon will not damage the water at all. It is a very natural type of water filtration system. 1. Carbon will not filter out fluoride or most toxic metals. It will also not filter out certain small organic and other chemical contaminants. 2. All carbon filters clog up and stop working, in time. There is no reliable way to tell when to change the filter. A dirty carbon filter is worse than no filter at all. 3. Carbon readily supports bacterial and fungal growth. It can begin to occur within days of placing the filter in use. Some fungi are extremely toxic, though they are tasteless and odorless. One cannot tell without expensive testing whether one’s carbon filter is contaminated and when to change it. Manufacturer’s recommendations are not necessarily useful. It depends on the water source and other conditions. Some manufacturers state that their carbon filter must be used with chlorinated water to help reduce bacterial and fungal growth. If yours says this, be sure to observe this caution. 4. In order for carbon to work well, water must pass slowly over the carbon. If it passes quickly, toxins will not be absorbed nearly as well by the carbon. In most carbon filtering systems, the water passes through the carbon too rapidly to be really effective. Carbon block filters. A related type of filter is called a carbon block. It consists of activated charcoal that has been compressed at high pressure. It is much more dense than simple carbon. The advantages of the carbon block are the water is exposed to more carbon. Also, the tightly compressed carbon can trap larger particles, including some heavy metals. As a filtering material, it is far superior to simple carbon. Problems with the carbon block, however, are similar to those of regular carbon filters. It can become easily contaminated with fungi and bacteria. There is no simple test to tell if your filter has become contaminated or how efficiently it is filtering the water. Summary. Carbon filters definitely can help clean up tap water and other types of water. They must be changed regularly and frequently, and one must understand that they cannot remove most toxic metals and some toxic chemicals. One must also beware of bacterial growth on carbon. Multi-stage home filtering units. These are heavily advertised today as being superior to carbon filtration. It is true that these units will remove some fluoride, more toxic chemicals and some toxic metals as well. Popular brands include Multi-pure, Zero Water and many others. These units all contain several types of filters to remove different contaminants. Many contain KDF, along with plasticized beads and other methods, and carbon, to remove fluoride and toxic metals. Unfortunately, all the multi-stage filters that I have seen damage the water and make it less usable by the body. As a result, it does not hydrate the body well. I am not sure which filter medium is causing the problem at this time. Stay away from these more costly and heavily advertised units at this time. Alkaline water. I know of three types of alkaline water systems. All of them have problems and, for this reason, should definitely be avoided. To alkalinize the body properly, eat loads of cooked vegetables along with kelp capsules. These contain the alkaline reserve minerals. As these accumulate in the body, the body becomes more alkaline naturally. Also, one must avoid all sugars, all alcohol, and all wheat products and most grains for a while. Alkaline water machines are totally unnatural and have a stimulatory type effect that is not the same as truly alkalinizing the body with the proper diet, lifestyle and mineral replacement therapy. Yin. Drinking any water that is highly alkaline makes the body more yin. Yin means sick, cold and expanded in Chinese medical terms. It is vry harmful, even if one’s symptoms improve, at first. Cleanliness. Tap water is not a very good base water. It is quite variable, and most tap water in America and elsewhere is not of excellent quality. It contains some chlorine compounds, fluorides, medical drug residues, hundreds of toxic chemicals, toxic metals and more. Carbon filters cannot remove most toxic metals and many toxic chemicals, no matter what the manufacturers claim. When water passes quickly over carbon, not that much is removed. Also, as the carbon filter becomes dirty, it stops working well. Platinum is too toxic for any human exposure. While the amount of exposure is small, we have noted that after using the machine for 6 months or so, some who use it begin to develop a little platinum toxicity. While this may be okay for most people, some with delicate kidneys or liver problems will be affected. The amount of platinum absorbed will depend upon one’s tap water and one’s body chemistry. The more poorly nourished one is, the more platinum one is likely to absorb. Other factors such as one’s age, vitality, etc. also have an effect. White powders added to the water. One must find out exactly what it is. Most is not that pure. Avoid coral calcium powder, for example, or some other contaminated product that adds more toxic metals. The advertising for these machines with claims that most Japanese hospitals, and most Japanese people use them is not true, as far as I know. Yin. Once again, any alkaline water seems to have a negative yin effect. Reverse osmosis does not hydrate the body well at all and should never be used for daily drinking water by most people. The calcium solution or powder, especially if it is made from coral calcium, may contain toxic metals. Very toxic, possibly. When toxic metals are added to reverse osmosis water, the ‘hungry water’ seems to take up the metals easily and drive them deep into the body cells and the kidneys. The newer Alkastream alkaline water units. This type of alkaline water machine is a non-electric, counter-top or under-the-sink unit that adds a magnesium compound to tap water to alkalinize it. It avoids the costly and dangerous platinum plates, but it still makes the body too yin, uses tap water which is of poor quality, and possibly ruins the water and causes toxicity from the magnesium compounds used to make the water alkaline. Avoid this system as well. Designer waters such as I-water, Pentawater, SmartWater and others. These are often made from reverse osmosis water, which does not hydrate the body well. It does not seem to matter what they do to the RO water. It still does not hydrate well. Most of these waters have added minerals. Not only does this not correct the problems of reverse osmosis, but the minerals will often unbalance the body, if they are even absorbed. These waters are overpriced, do not hydrate the body well, and so far none that I have seen are nearly as healthful as a good quality spring water or even plain tap water. Open water. This is a very interesting type of water. One just adds a few drops of it to drinking water. For more on this topic, read the article entitled Open Water on the Center for Development website. Minerals to add to drinking water. This is a popular idea, but not usually helpful and, in fact, adding salt can be dangerous. Adding salt to water may remove a few molecules of toxic metals, but can unbalance the minerals in the body. Sailors know that drinking salty water is harmful in all cases. Other problems with added minerals are that one simply does not know which minerals are best. Some are harmful as they contain toxic metals. Especially avoid minerals that are added to drinking water that come from the sea, and those that come from land-based mineral deposits or earth mineral deposits. In my experience, these all contain some toxic metals and the sea-based ones contain salts that can leach vital minerals from the body. Ozone machines for drinking water. Adding some ozone to your water will help purify it, but that is all. You will absorb some ozone or extra oxygen from the ozonated water, but not that much because human beings do not spend that much time drinking water. A much better way to avail yourself of ozone, in my view, is with an ozonator/ionizer air purifier in your bedroom at night. Water softeners. Some people who have hard water (water with a high calcium content) have a tank in the basement or garage, and they add either salt pellets or potassium pellets periodically to soften the water. The water passes over the pellets and picks up some sodium and potassium, which tends to dissociate or break up the hard calcium compounds in the water. The result is a water that does not leave deposits on faucets, toilets and counter tops. The water also causes soap and shampoo to lather up somewhat easier, and it may preserve the pipes in the house by getting rid of calcium deposits. Water softeners are not a way to purify water in any manner. If one’s water is too hard, adding salt may help. However, it also contaminates the water. Drinking softened water has been shown to increase heart disease. Adding potassium seems to be even worse. An alternative is to place either fixed magnets or electromagnets on the pipe leading into the home, and this will have a similar effect to some degree on the water. Trinity Water, as it is much too high in fluoride. All “drinking water” and “purified water” including Aqua Fina and Dasani. Do not be fooled by fancy sounding names or fancy bottling. These are just filtered tap water or water produced by reverse osmosis. Alkaline waters of all kinds. Distilled water, after 3 months of drinking it. Too much distilled water will demineralize the body. Water from water machines found at supermarkets, for example. Water from water stores. This is always made with reverse osmosis, in my experience. Well water, in many cases. Tap water, unless filtered with carbon only. Tap water is not ideal, but it often will hydrate the body. If it is all you can afford, preferably at least use a Britta or other simple carbon filter and change the filter about once a month. Multiple stage filters in most cases. Beware that some multi-stage home and industrial water filters use reverse osmosis or other types of filtering methods that damage the water severely. Carbon is safe, however. Other “designer” waters. These include Penta Water, Vitamin Water, Smart Water and others. Always read labels carefully to see if bottled water is actually spring water or just filtered tap water. Also, some “distilled” water says in fine print “made with reverse osmosis”. Stay away in this case. I do not believe most people need to pay extra for water that has been altered by adding ozone, special minerals, prayers or by other processes. Many of these are available today. Some are obviously better than others, and there are too many to comment upon. Most begin with tap water and use reverse osmosis to filter the water. This is not good. The first choice is to drink a quality spring water that you have delivered, you buy in the supermarket, or you obtain directly from the spring if you prefer. Second choice, not quite as good, is often to drink a CARBON-ONLY filtered tap water. Most adults need about three quarts or more of drinking water per day. More is needed in hot weather, dry weather and if one is more physically active or weighs over 250 pounds. Drinking more water is not necessary or healthful. As part of one’s water intake, one may have up to two or even three cups of mild, caffeine-free teas and one cup of green or black tea. Preferably do not add honey, sugar, agave syrup, cream, lemon, caffeine or other things to your tea. These will alter the quality of the water somewhat. This is why many books state clearly not to use anything but pure water. Avoid drinking much soda pop, fruit juices, too much vegetable juice, more than about 6 ounces of any kind of milk, and avoid rice, soy, hemp, or almond milks, alcohol and caffeinated beverages. If you have some, they should not be counted as part of your water intake. In fact, eating or drinking anything containing sugar, caffeine and alcohol definitely tends to dehydrate the body. For more on this important medical topic, read Hydration on the Center for Development website. How to drink. An excellent way to begin your day is to drink several large glasses of warm water, up to a quart, upon arising in the morning, up to about a quart. This will supply you for several hours and you won’t have to think about how much to drink all day long. Drinking a number of glasses of heated water will often help with constipation, as well. Otherwise, it is best to drink about four large glasses of water between meals. Keep the amount of water at the meals low, so as not to dilute the digestive juices. Drinking after about 6 PM can cause men, in particular, to be up urinating during the night, which is not helpful for resting and for sleep. Large textbooks are written about water. Water has so many properties that I can only touch upon some of the most important ones and other practical considerations. Water has a spin, moment, particle size, specific gravity, acidity, hardness, total dissolved solids, boiling point, bond angle, overall quality and microorganisms. Let us discuss each of these in more detail. Spin. Water molecules spin in either a clockwise or counterclockwise direction. This influences the water’s effect on the human body. The spin should be clockwise. When it is reversed, the water pulls minerals from the body and disrupts normal mineral metabolism. From what I have read, the problem with reverse osmosis water is that the spin of the water is disrupted by the plastic membrane, and this cannot be corrected by adding minerals, boiling the water or other simple means. Moment. Water has a weight or molecular structure that depends on its moment. Moment is the manner in which a substance behaves in the presence of other substances. Water is, of course, in contact with many substances which influence it and which it, in turn, influences. Moment has to do with the way water interacts with these substances. Particle Size. Water contains dissolved particles. These are ions, electrical and protonic particles. The size of these particles also imparts qualities to water that are easily measured with electrical conductivity testers. Specific Gravity. Water has a specific gravity index that also influences its effect on the body. The higher the specific gravity, the more it adheres to cell walls and other structures. This is the viscosity of the water. Ideally, water should have a very low specific gravity. This means the water is ‘wetter’ and will penetrate the cells better, bringing more nutrients to the cells and carrying away more toxins. Weight. One may think that all water weighs the same. However, this is not true. Some water is heavier due to the isotopes of hydrogen and oxygen that make up the water. Lighter water is best for the human body. For example, some spring waters contain less deuterium, a heavier isotope of hydrogen that contributes to a heavier water. PH or Acidity. Water, like all substances, has a degree of acidity or alkalinity that also influences its effects on the body. The higher the pH, the more alkaline the water. Water that is too alkaline or too acid is not healthful. Some people are using machines that alkalinize the water by adding or removing minerals from it. This I consider very risky as it changes the properties of the water, often in unnatural ways. I do not ever recommend these machines for extended use, as they seem to make the person much more yin, a negative consequence that will eventually offset any positive benefits of drinking alkaline water. Hardness. All naturally-occurring water contains minerals to some degree. Hardness refers mainly to the amount of calcium in the water. I recommend a water that is hard, but not too hard. Total Dissolved Solids. This refers to the total of the minerals contained in the water. This can vary tremendously from various water sources. A good total dissolved solid level (tds) is about 300-400. Boiling Point. Water is said to boil at 212º F. However, the boiling point varies with the altitude. It also varies with the nature of the water. Salt water, for example, boils at a higher temperature. It also freezes at a lower temperature. This is why salt is applied to sidewalks and roads, as it causes ice to melt. The boiling point of water is more important than one might imagine. This has to do with vaporization of the water in the body and its excretion through the lungs and skin. Water that boils at a lower temperature will volatilize or vaporize faster. This is beneficial for removing toxic substances from the body. I recommend a water with a lower boiling point. The boiling point depends on the minerals in the water. It also depends on the structure of the water and on subtle factors related to the spin, moment, weight and other factors. Bond angle. This is a very interesting quality of water. The bond angle is the angle between the two oxygen atoms in the H2O molecule. The more open the bond angle, the wetter or lower the surface tension of the water. A more open bond angle also affects many other properties of the water. This very interesting topic is discussed in more detail in another article on the Center for Development website entitled Open Water, What it is. Overall Quality. This refers to the amounts and ratios of the various minerals and other substances in the water. This is a complex area as there can be over 100 minerals in a particular water, plus thousands of toxic chemicals, pesticide residues, pharmaceuticals, solvents and added chemicals in any particular water. Unfortunately, today most water is very contaminated with heavy metals and toxic chemicals. Therefore, most tap and well water is not of very good quality and will not hydrate the body as well as a quality spring water. Micro-organisms. All water, except perhaps triple distilled laboratory water, contains microorganisms. These include bacteria, fungi, parasitic organisms, viruses and mycoplasma. Water may also contain insect larvae, parasite ova, plant matter, animal feces and many other biological compounds. I recommend water than has been filtered by passing through the earth to produce well and spring water. Carbon filtration also helps remove many micro-organisms, but it does not remove others, and does not remove toxic metals, for the most part. Deep well and spring water is generally cleaner in this regard, as it comes from deeper within the earth. Surface water from rivers and lakes, for example, is often far more contaminated with insect, fish and algae residues.